Captain Abraham Benson (1780-1849) moved from New York to Fairfield after becoming enamored with the town; as a young boy he would work on the ships bringing goods to the town. His first wife was the daughter of General Jarvis; she lived about one year after marriage. His second wife was Grissel Burr, with whom he had 11 children. After her death, he married Finette Edwards of New Milford, 30 years his junior, with whom he had a daughter, Finette. He owned several ships and frequently traveled to the West Indies. 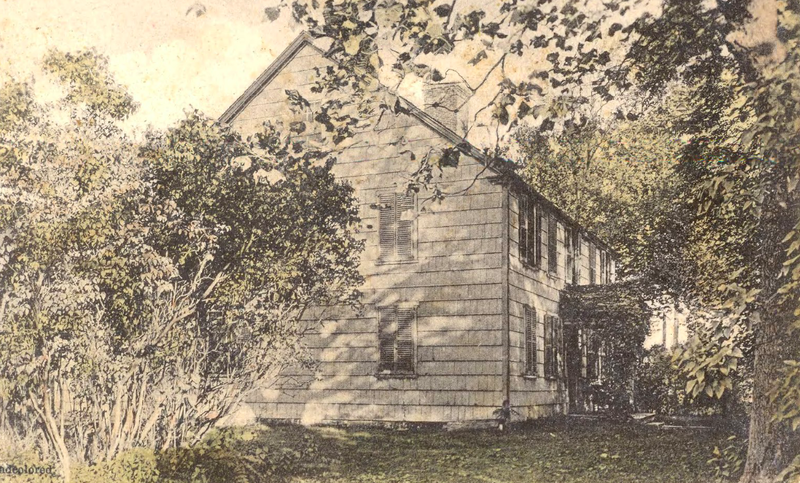 During the War of 1812 he managed a store out of his home, known as Benson House, and was Commissary to General Ford and the fort at Grover’s Hill. 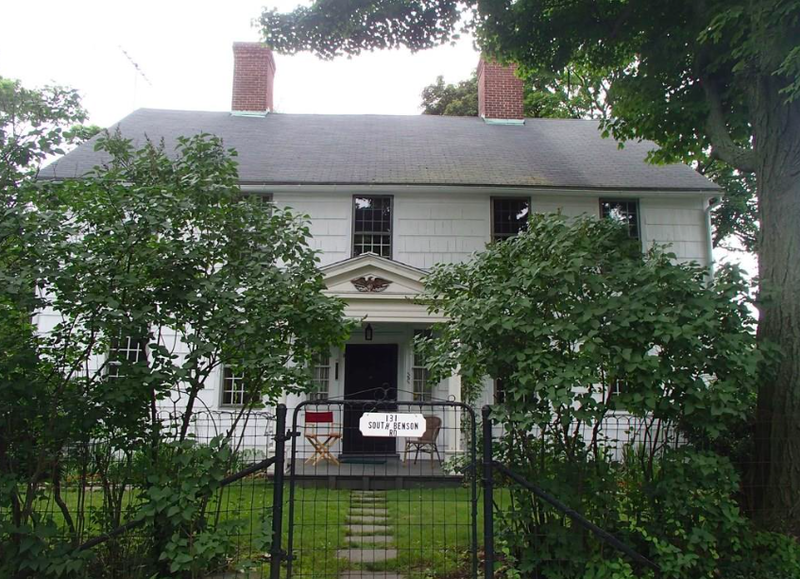 During the 1830’s, the home was turned into an inn or tavern, a popular stop for Daniel Webster and Washington Irving. One of the largest inns in the area, it was a stagecoach stop from New York to Boston. The Benson Home has seen several remodels since then, including the removal of the inn section. The home remained in the Benson family, passing down to Abraham and Finette’s daughter, Finette Edwards Benson Nichols, and her two daughters, Finette Benson Nichols and Emma Starr Nichols. After the death of Finette Benson Nichols, the house passed to Gertrude Haynes Johnson Peden, and then to her daughter, Marcia Peden Miner. Deeds, financial papers, shipping papers, and papers related to Abraham Benson’s service as postmaster, as well as items relating to the Benson House Inn, family and probate papers for Abraham and Finette Benson, information about the house itself, as well as papers and photographs of Finette and John Nichols, and papers relating to Gertrude and Charles Peden, who inherited the house in 1948 are in a collection at the Fairfield History Museum, arranged into series on the Benson family, the Nichols family, the house, and the Peden family. This Home is in the Fairfield Historic District, which monitors exterior renovations; but, it is not on the National Historic Registry, so interior renovations are not restricted in any way. The Abraham Benson House is in THE CENTER OF EVERYTHING IN FAIRFIELD. It has been in that same family since the 1800s. You have waited a long time for this opportunity!! High ceilings. Grand rooms. Wide plank floors. Many built-ins. AMPLE closet space. New 200 amp electrical service. Natural gas to the house. There were 8 fireplaces, 7 are exposed with beautiful mantles. One is behind a wall. Four aren’t operational; they provide the boiler a flu. With some repair and/or gas conversion all 8 may be able to be made operational. There is a finished, walk up attic. Grand foyer & stairs. Spacious rooms & halls. This home maintains most of the original flavor of the period. So much history…original glass, original doors, original flooring, nooks, crannies, fine detail. A history lovers dream! A “blank slate” with many opportunities to incorporate history with the comforts of 2019. The fully fenced yard is a lovely 0.44 acre with stone columned pergola with wisteria, rock garden, non-functionial outhouse and well. Stunning lilacs surround most of the fencing &lawn. There is a garage in back. Add on or work within the footprint to bring this Classic into the 21st century and beyond: the closets, enclosed porch, tool rooms provide added space for baths, 1st floor MBR,larger EIK, etc without expanding. Motivated seller seeks offers.NO FLOOD INS! For more information about this listing, check out this page or get in touch with Sherri A Steeneck at (203) 395-2737. If you want to know more about homes for sale in Fairfield, CT, visit this page.